New York, 24th February 2017 – Many factors are driving evolution in the technology, media, and telecommunications (TMT) sector, but one thing is for certain: software is the grease that turns the TMT wheels. Hastening adoption of advanced technologies is giving way to the rapid disintegration of product-focused business models. Legacy TMT companies must transform now to meet the demands of a highly interconnected, technology-driven world—focusing on delivering valuable customer outcomes. Nearly half of TMT CEOs (47%) say that technology has completely reshaped their industries in just the past five years (compared with only 20% of the cross-industry average). Convergence within the TMT industry is being met with the rapid escalation of technology acquisitions by non-TMT companies. Assess whether to expand, transforming your connection with the customer and path to market, or connect, structuring the company to be open and connected with “megahubs”—ecosystem platform drivers. Unite IT and business operating models to create a single digital operating model, gaining a direct connection to the customer. Help users cut through the clutter with superior discovery platforms, harnessing the power of data and user insights to enhance services and personalization, and decision-making. Build a common language around digitization and a shared culture of innovation. As companies embrace emerging technologies, it’s also important that they account for the associated risks and costs, namely related to potential cyber and data-privacy threats. The next few years will be crucial in determining which TMT companies stay ahead or get left behind. As emerging technologies and software become the lifeblood of business, transforming to a services-and outcomes-driven business model will be the way forward not only for TMT, but for all industries. The bottom line: TMT companies need to prepare now for the seismic shifts collapsing and transforming industry ecosystems and value chains. Amid our increasingly interconnected and “smart” world, customers continue to demand speed and simplicity—the most direct and trusted route to a desired outcome. 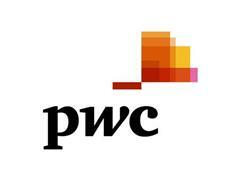 Click here to read PwC’s full article.